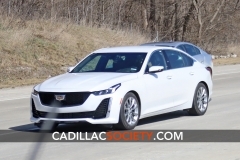 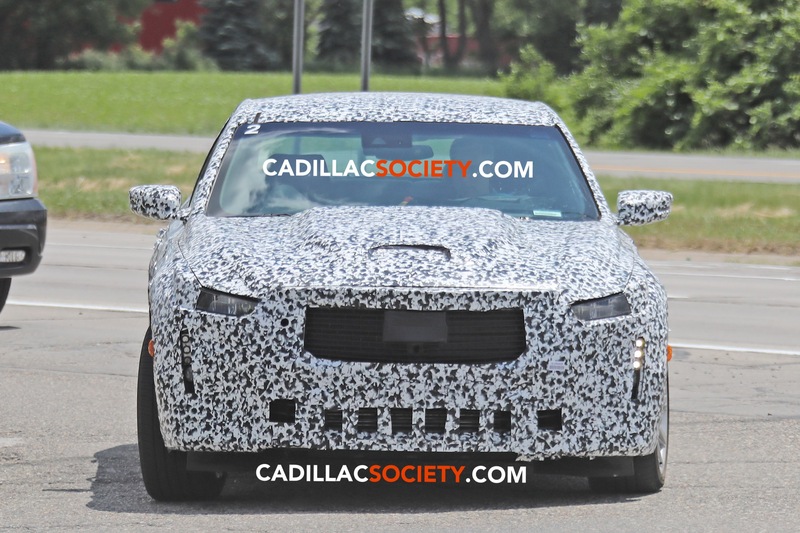 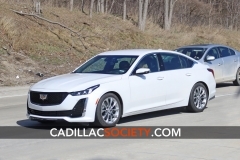 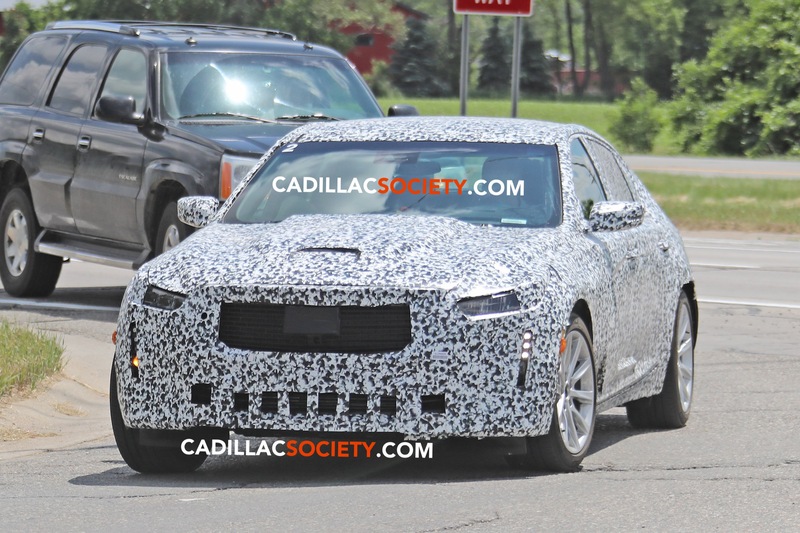 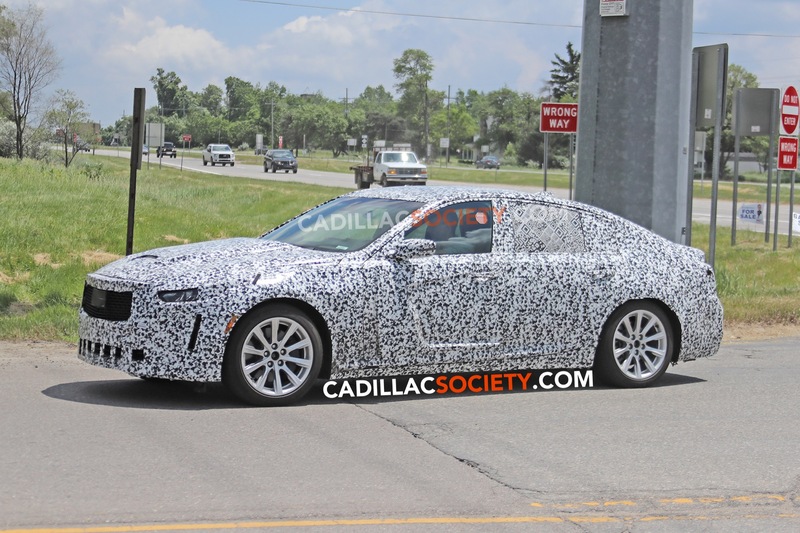 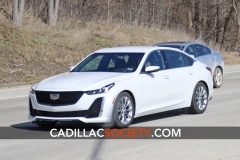 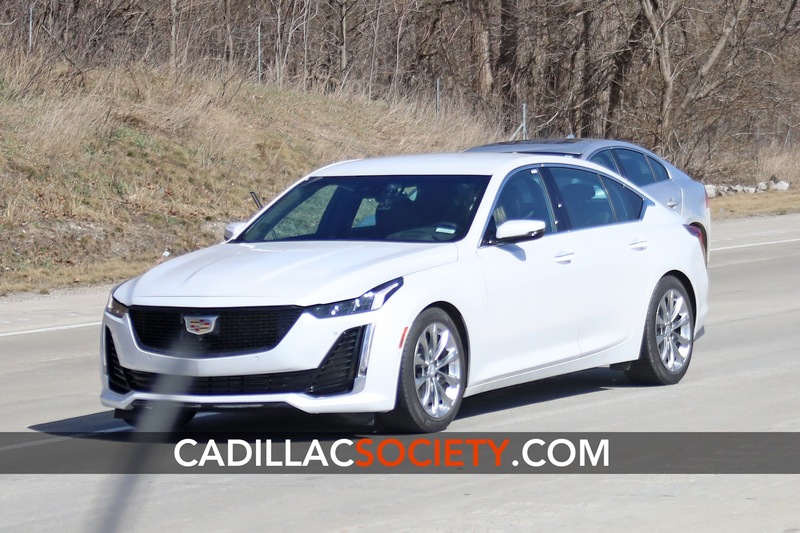 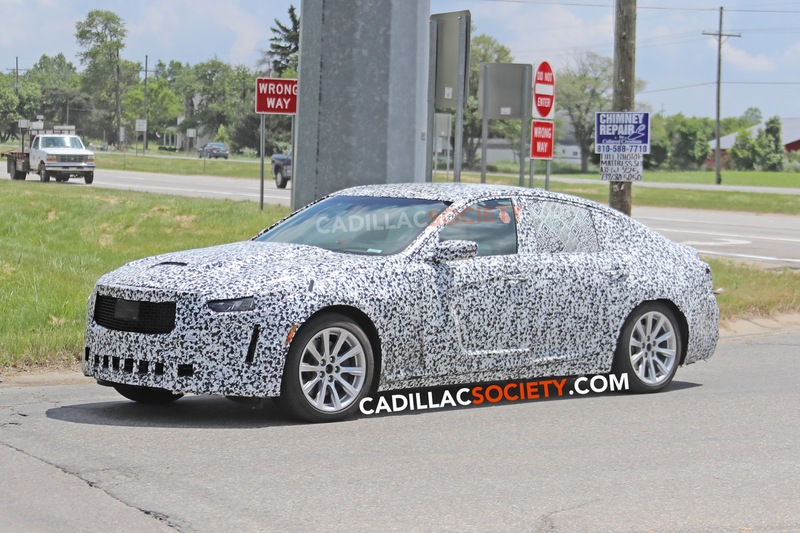 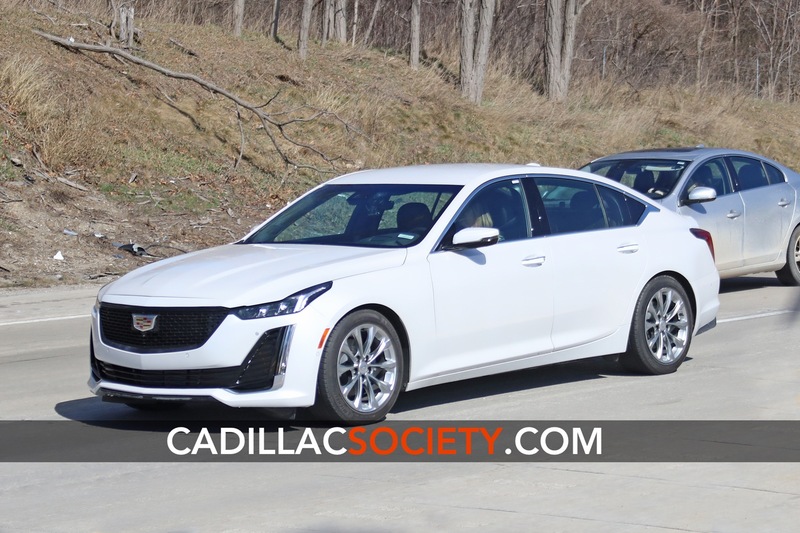 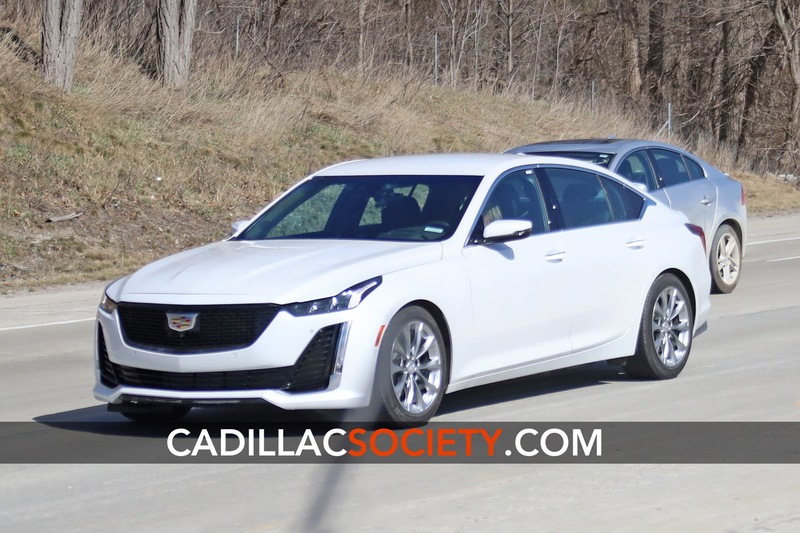 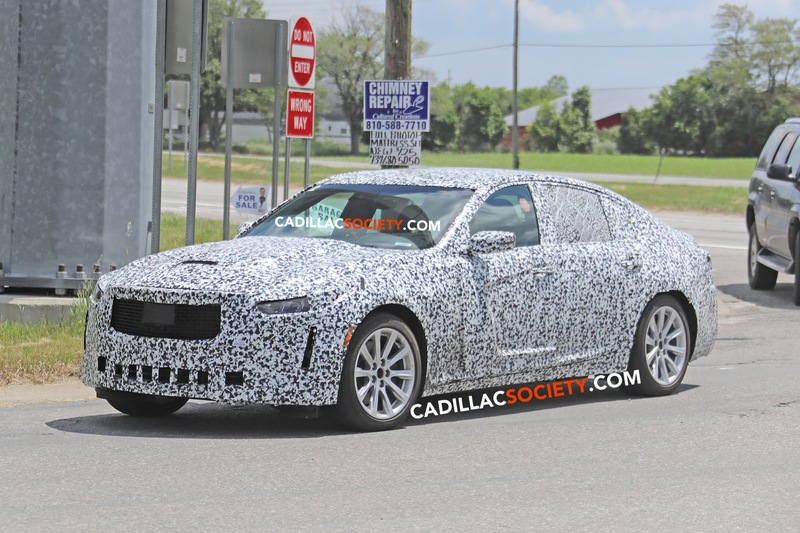 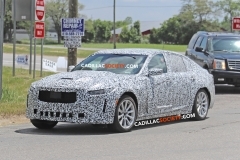 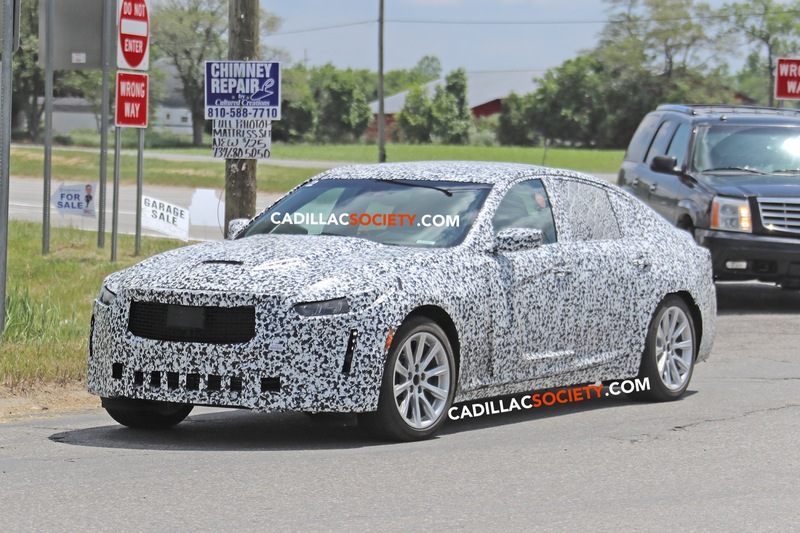 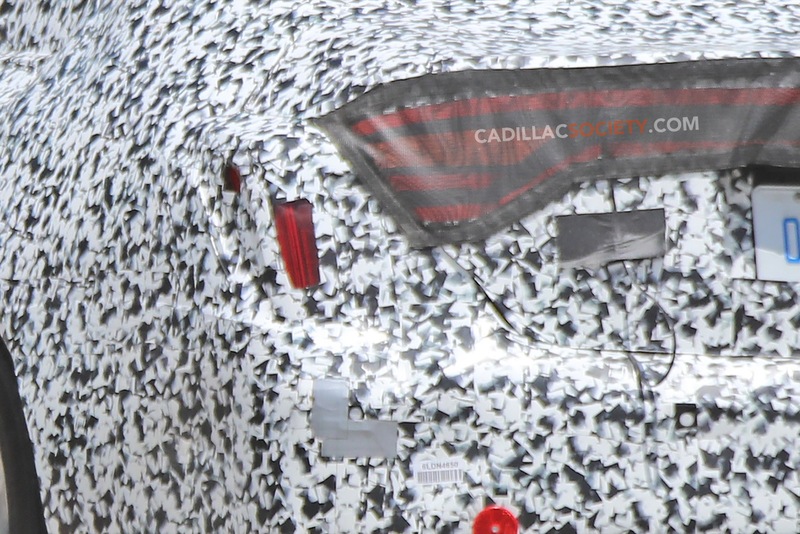 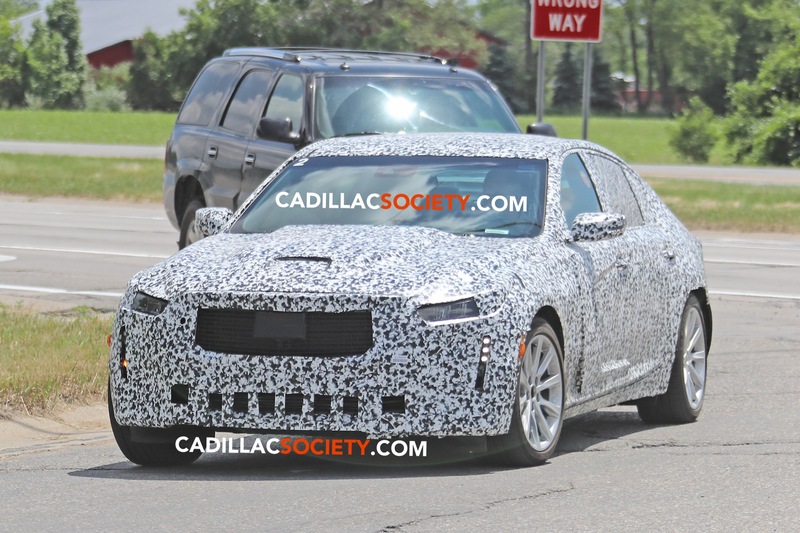 Cadillac was kind enough to grace us with studio images of the upcoming 2020 Cadillac CT5, and we have since seen it out and about, roaming real world streets. 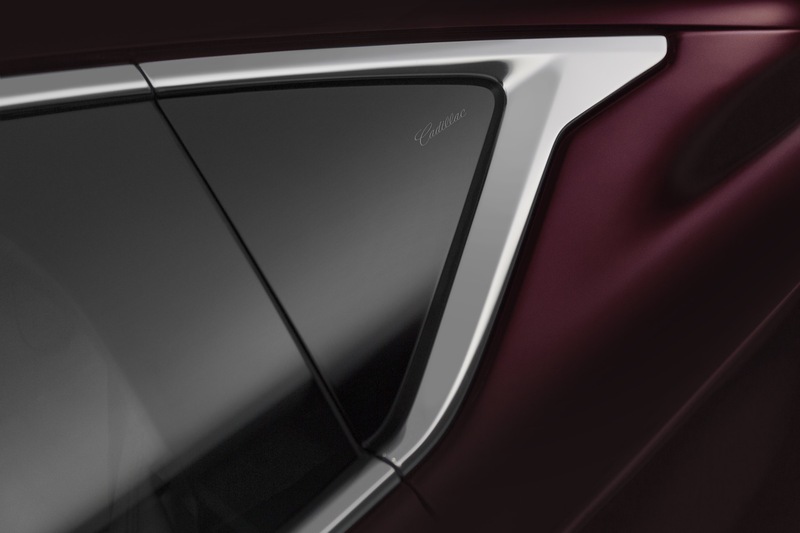 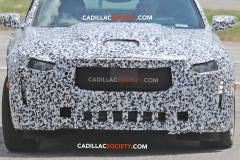 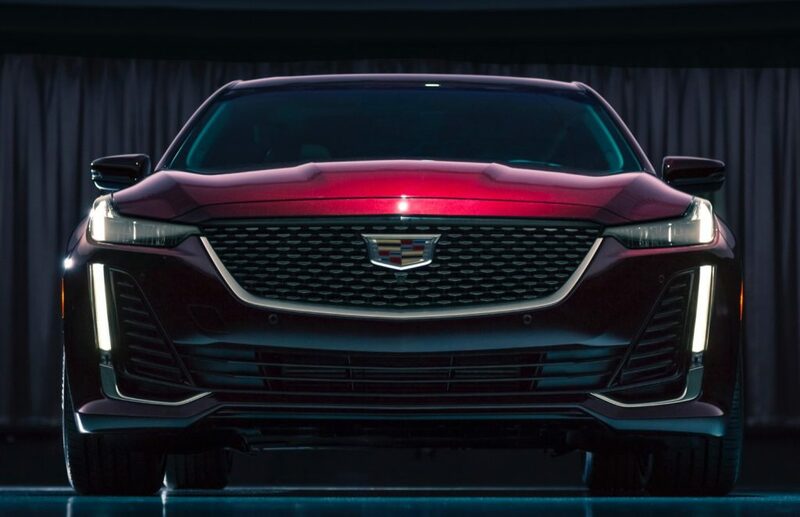 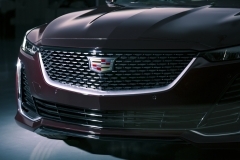 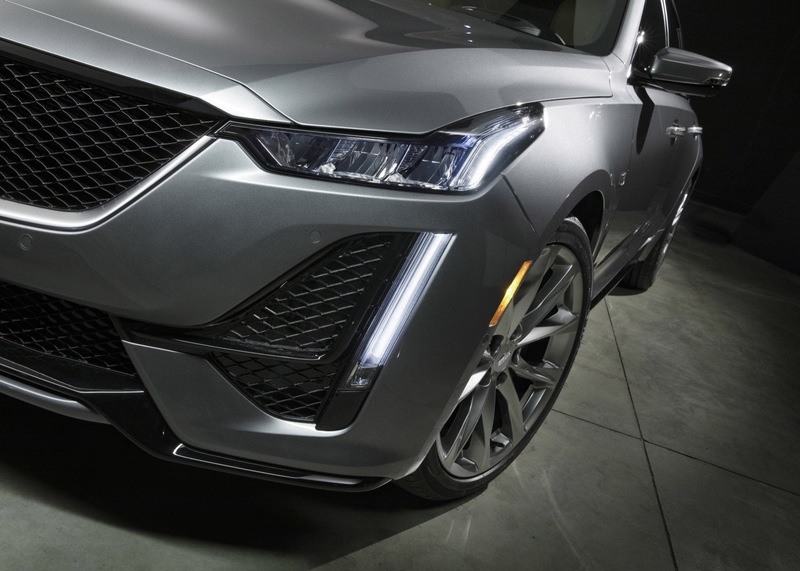 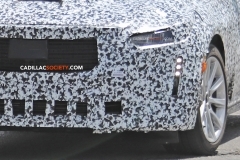 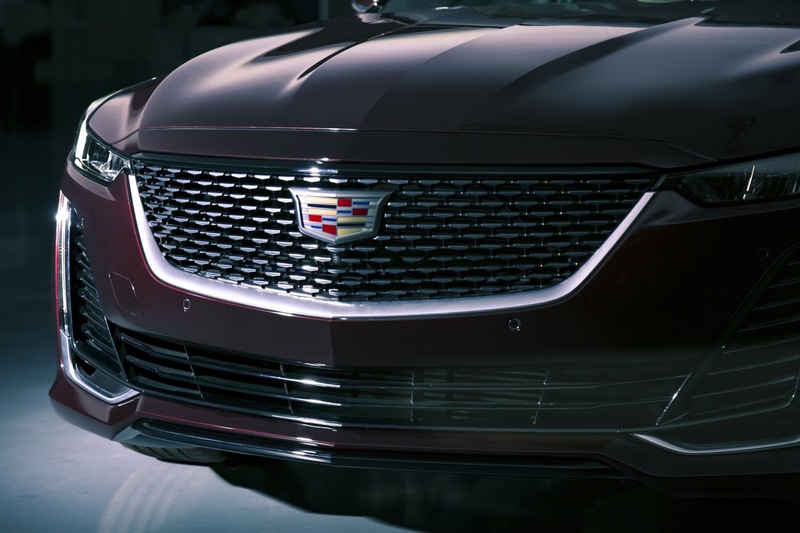 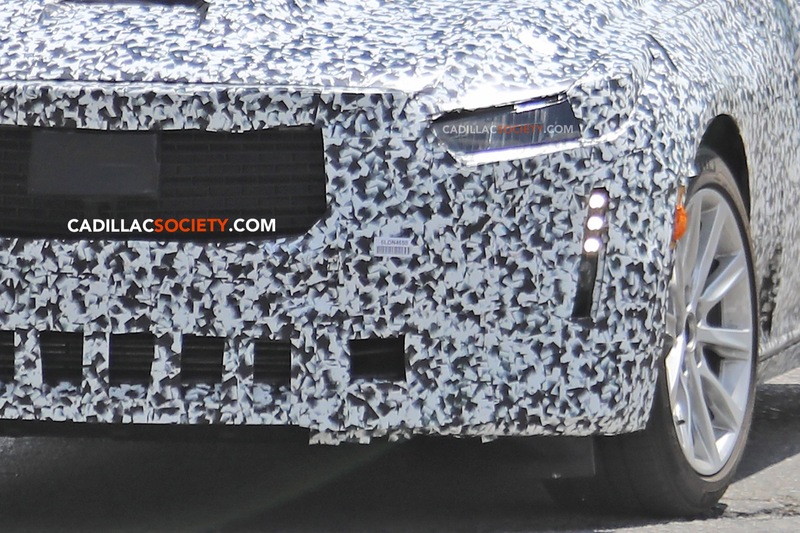 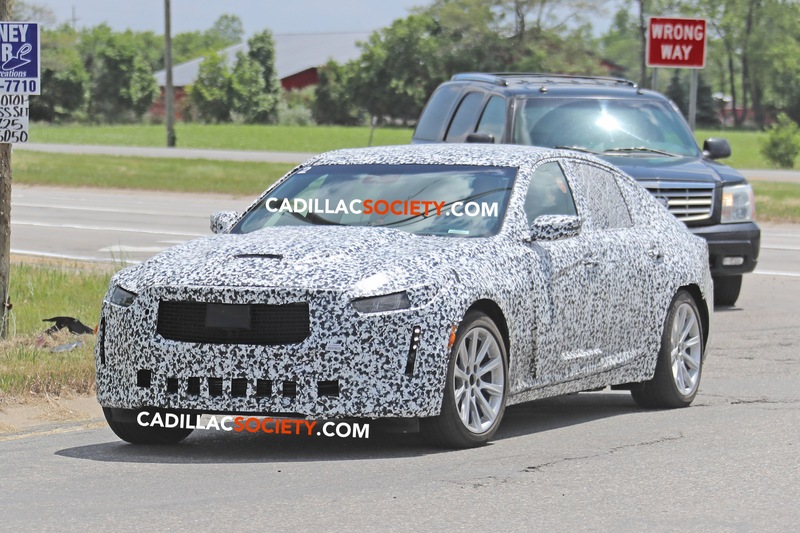 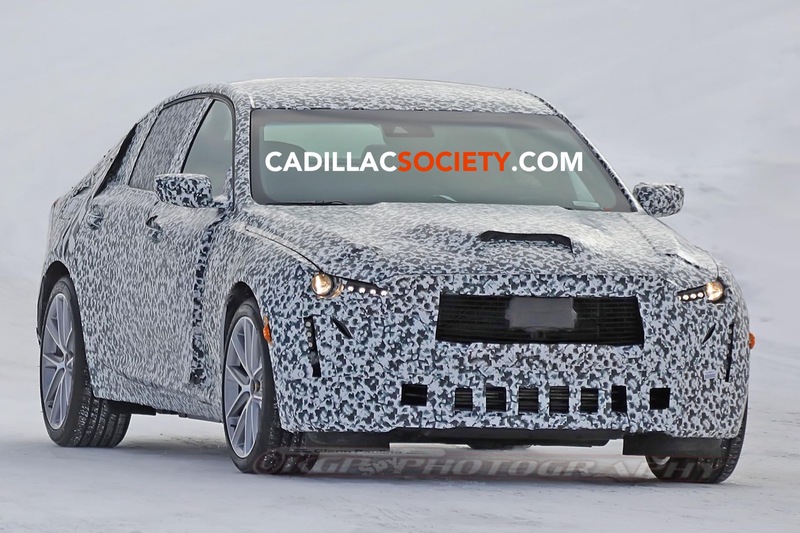 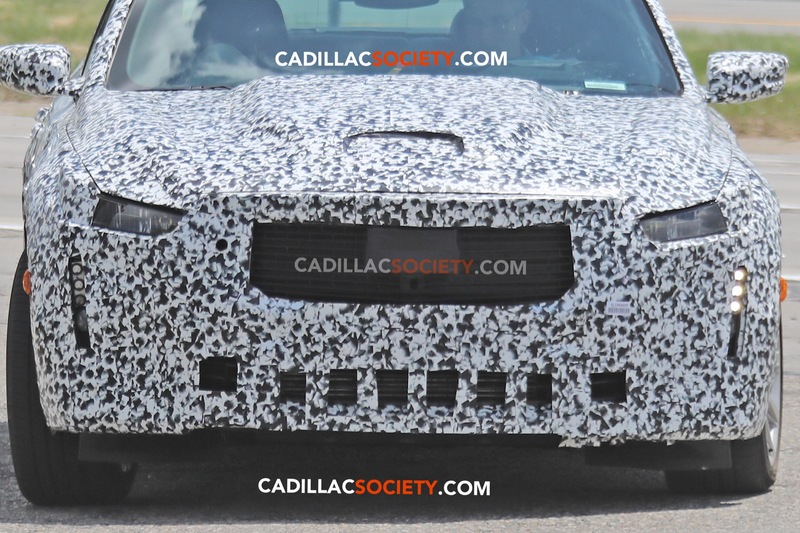 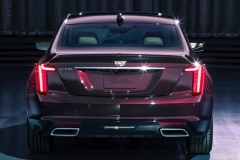 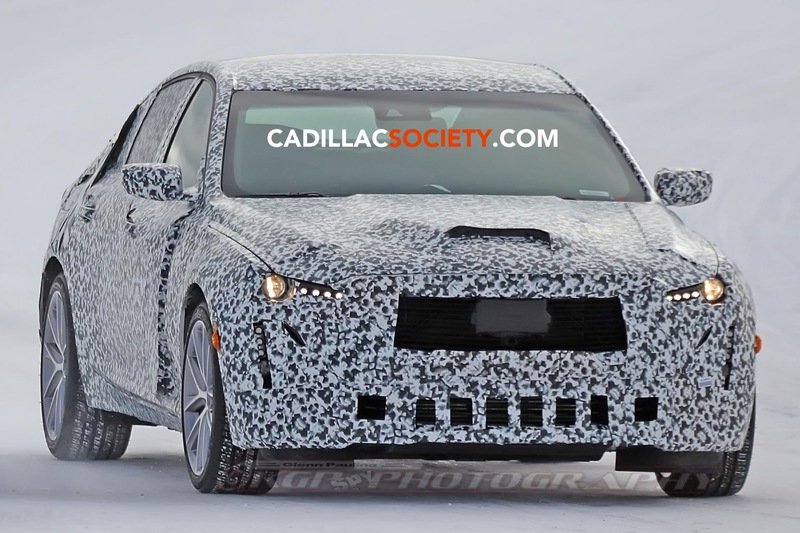 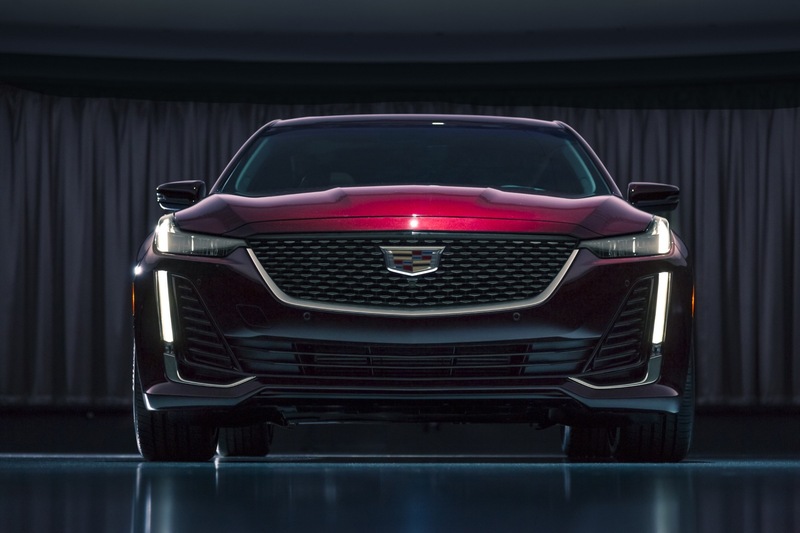 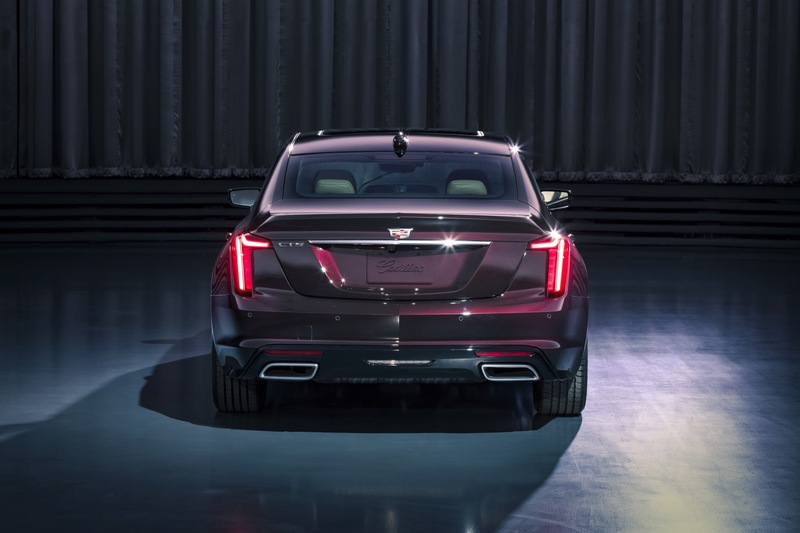 After taking in the new sedan’s design, we noted something peculiar about the front end: the Cadillac badge on the front seems slightly bigger (taller) and of a different shape than the normal Cadillac Crest. 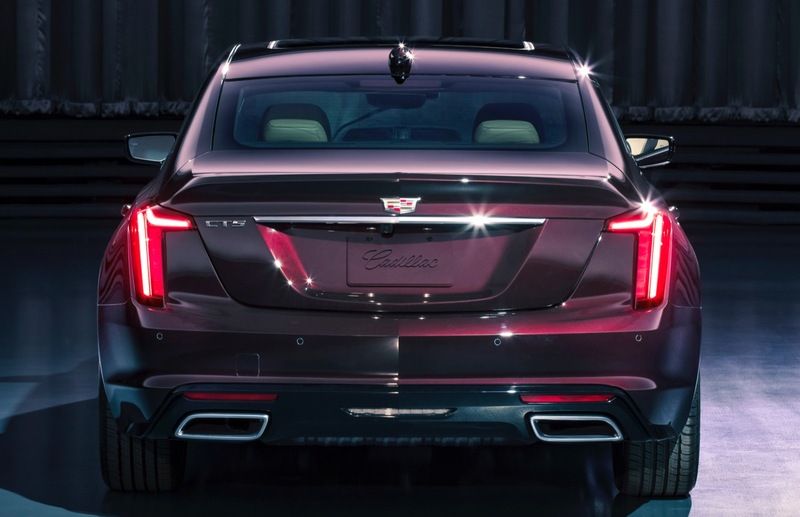 So, naturally, we reached out to Cadillac for clarification. 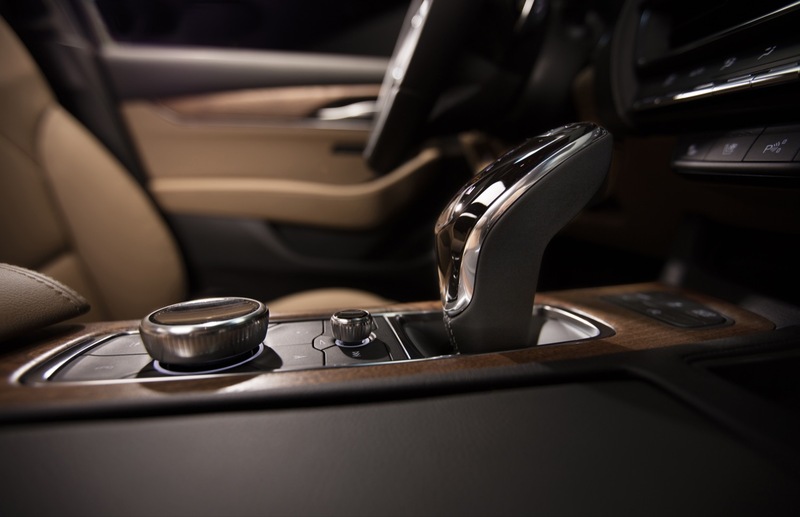 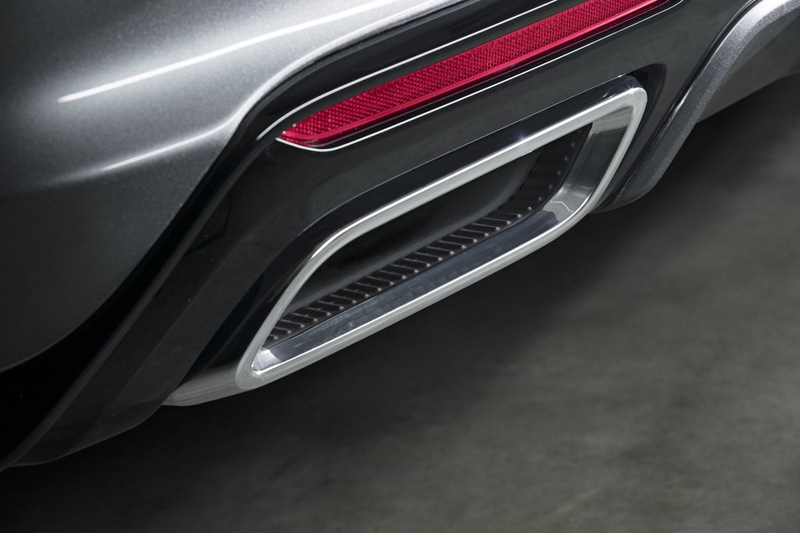 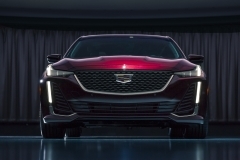 “It is a little bit different, but it’s for functional purposes,” said Cadillac’s Tara Kuhnen. 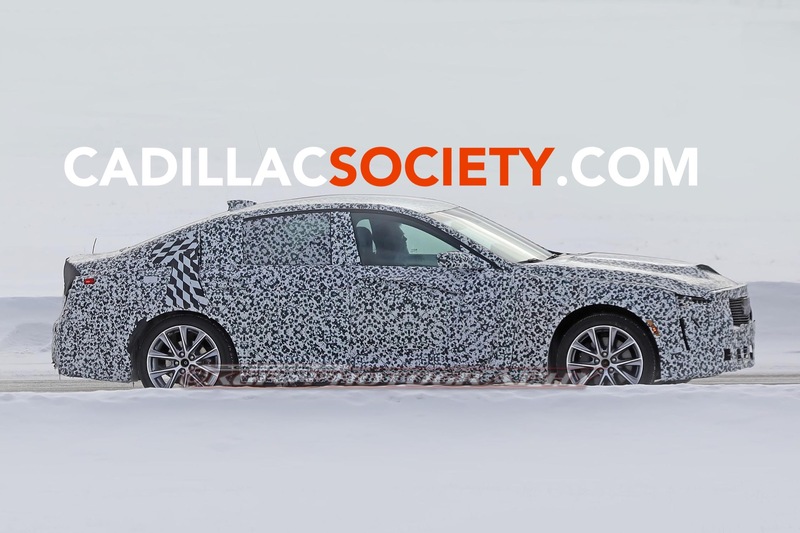 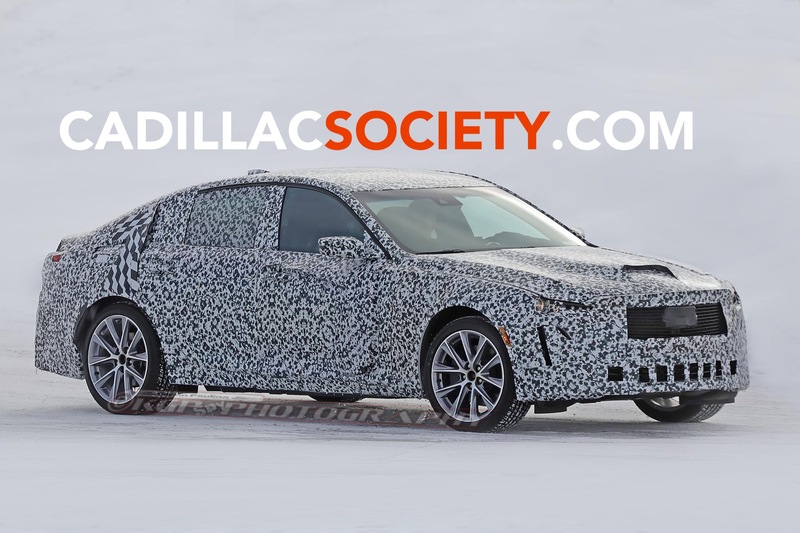 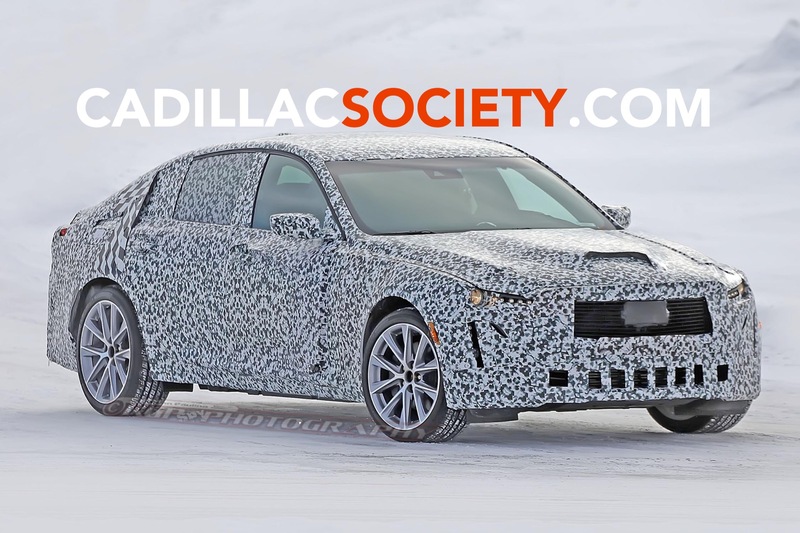 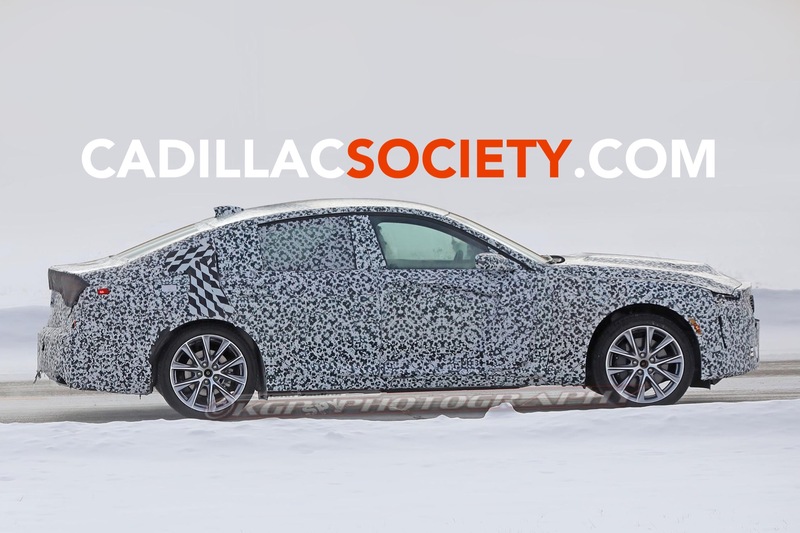 Our questions should be answered soon enough, as the new Cadillac CT5 is slated to make its public debut later this month at the New York International Auto Show. 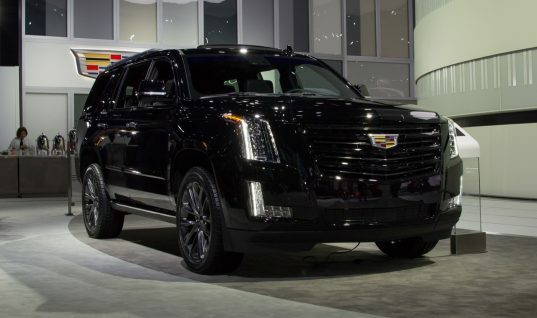 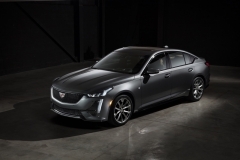 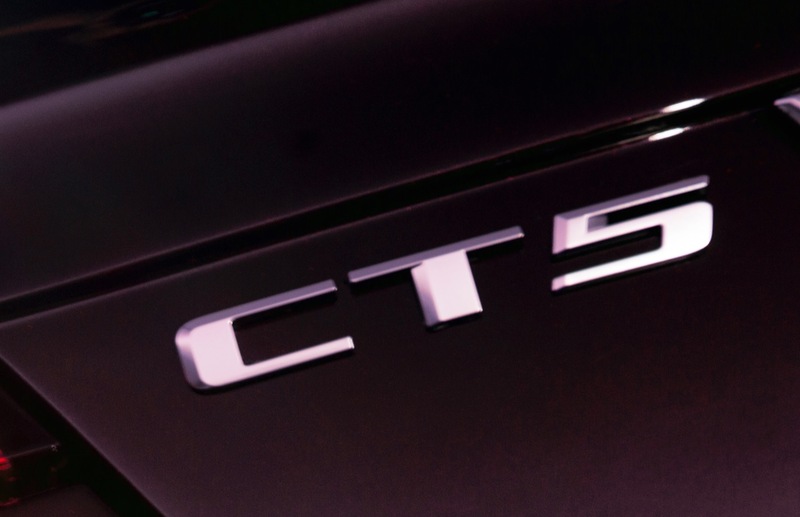 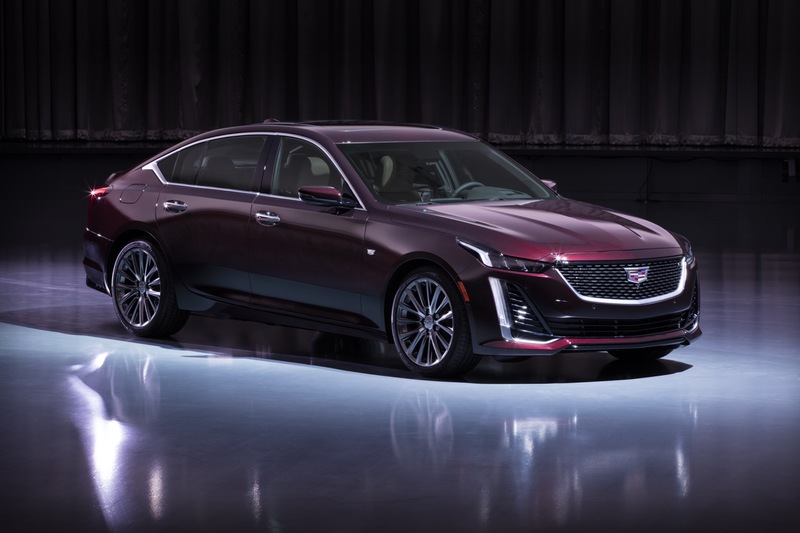 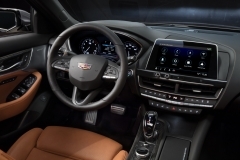 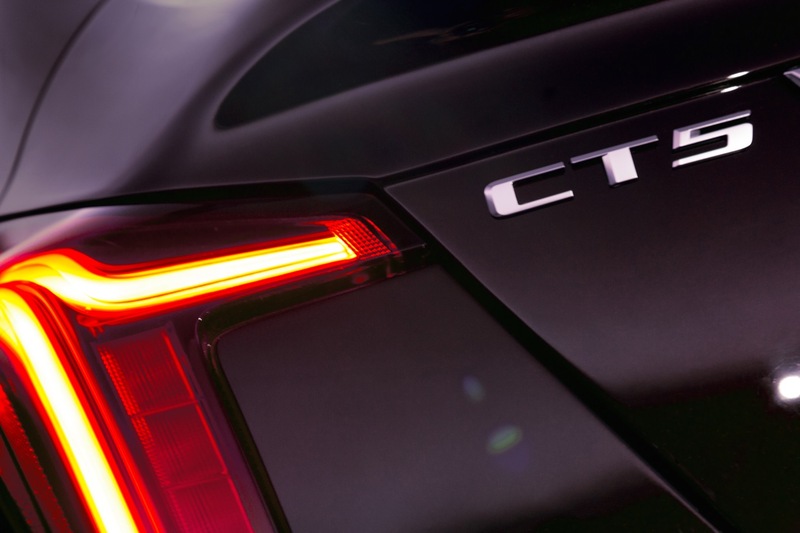 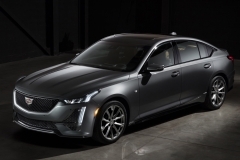 The debut comes shortly after the surprise announcement in mid-March, when Cadillac revealed the all-new CT5 sedan that will propel the vehicle into the popular and lucrative D-segment to battle the likes of the Mercedes-Benz C-Class and BMW 3 Series. 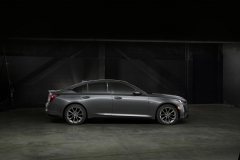 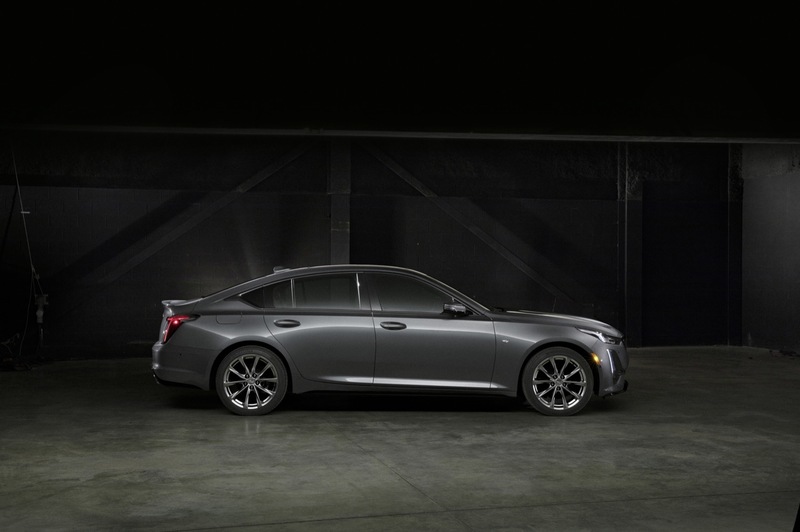 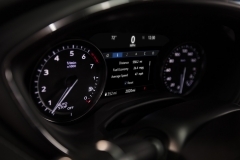 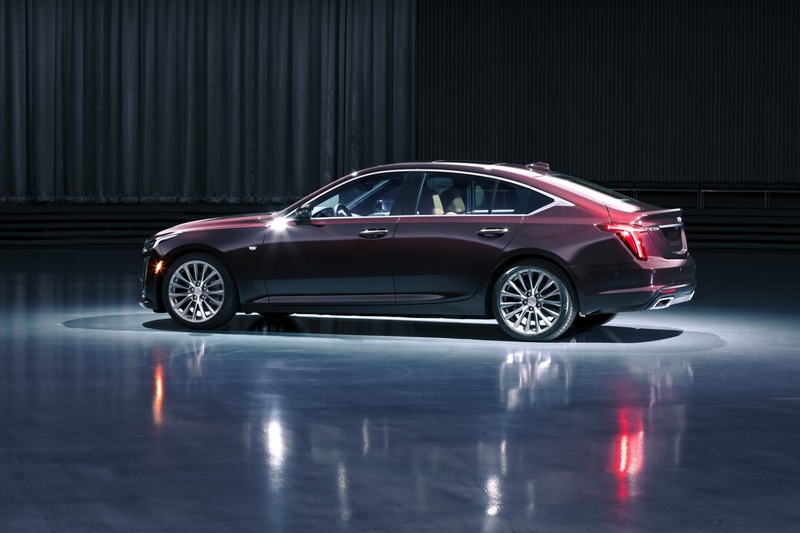 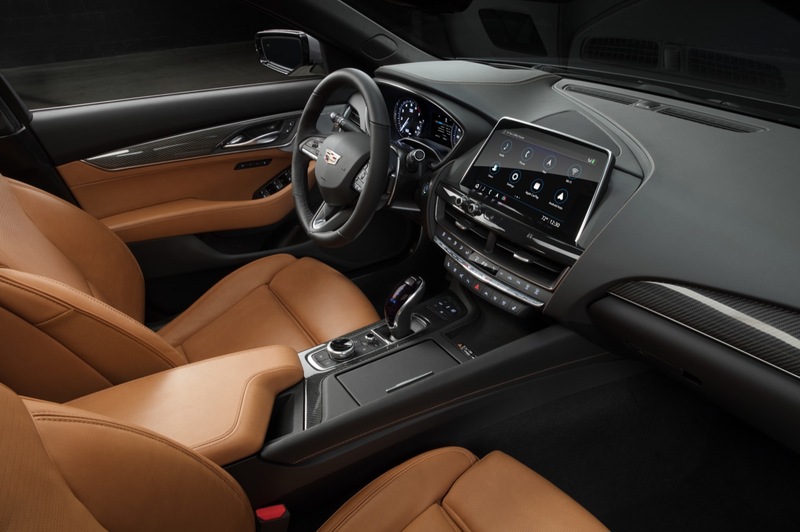 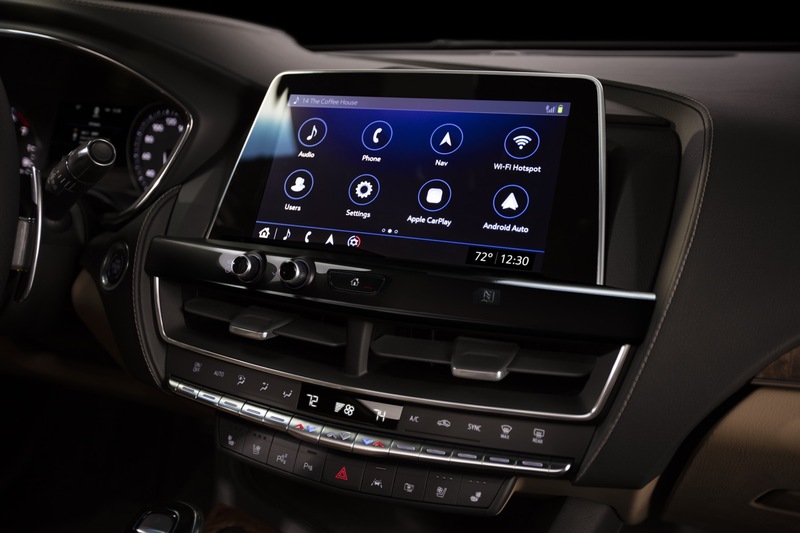 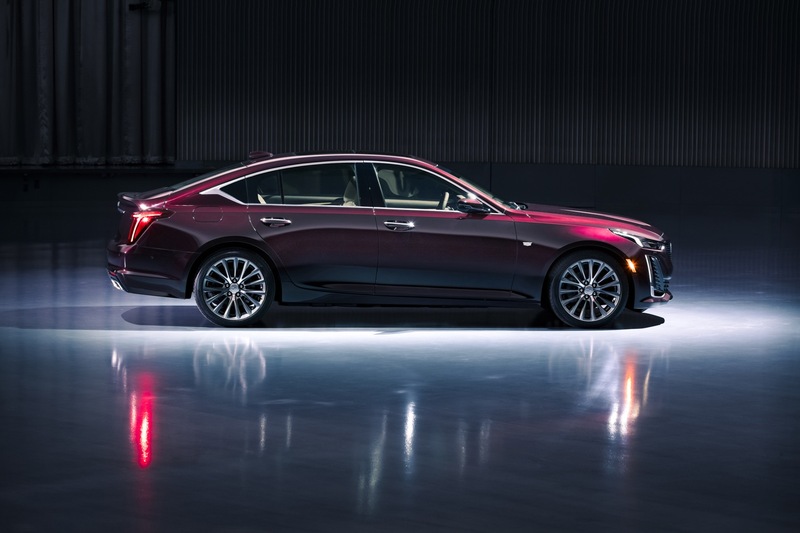 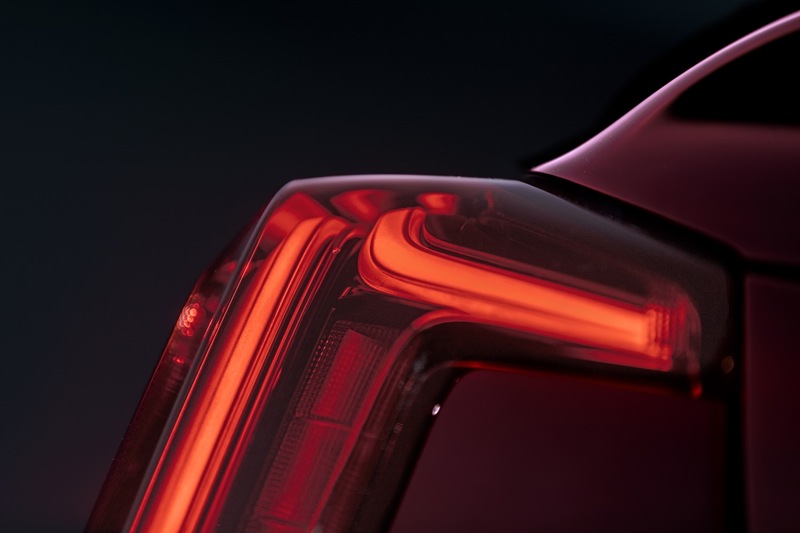 The 2020 Cadillac CT5 will ride on an updated version of the renowned Alpha platform that currently underpins the ATS and CTS lines. 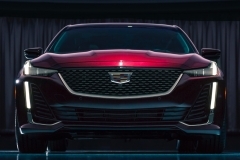 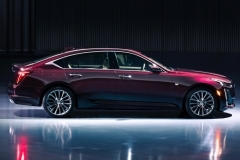 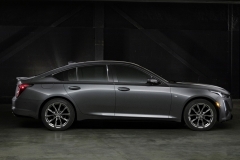 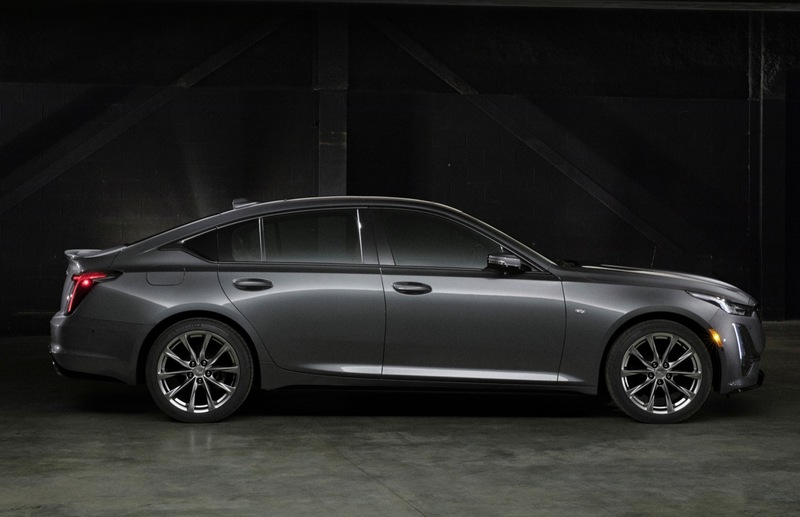 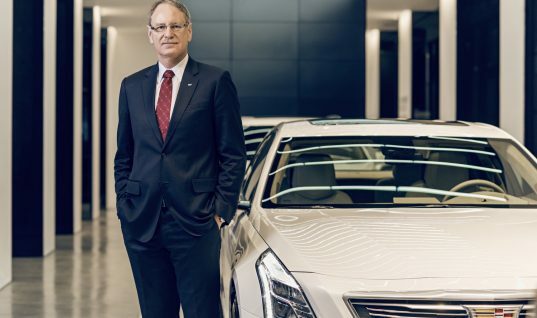 The new sedan will be built at the Lansing Grand River plant for North American markets and at the Cadillac Jinqiao plant in Shanghai, China for China. 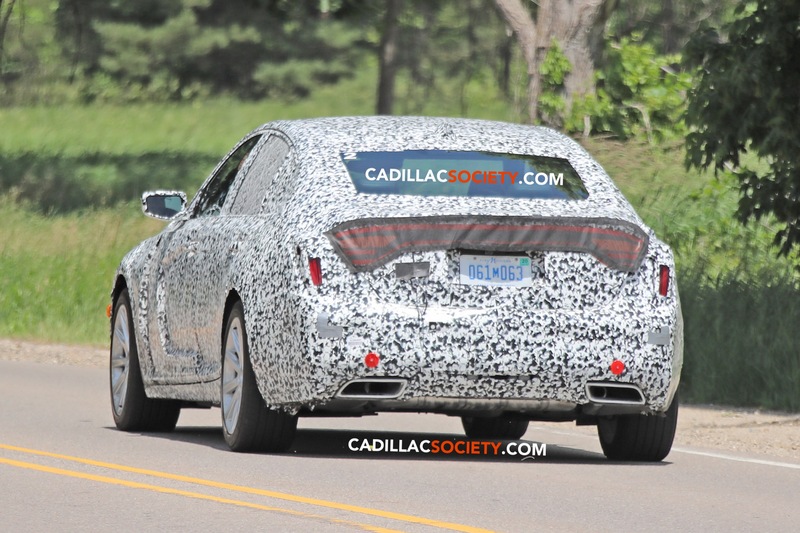 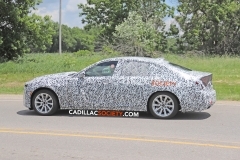 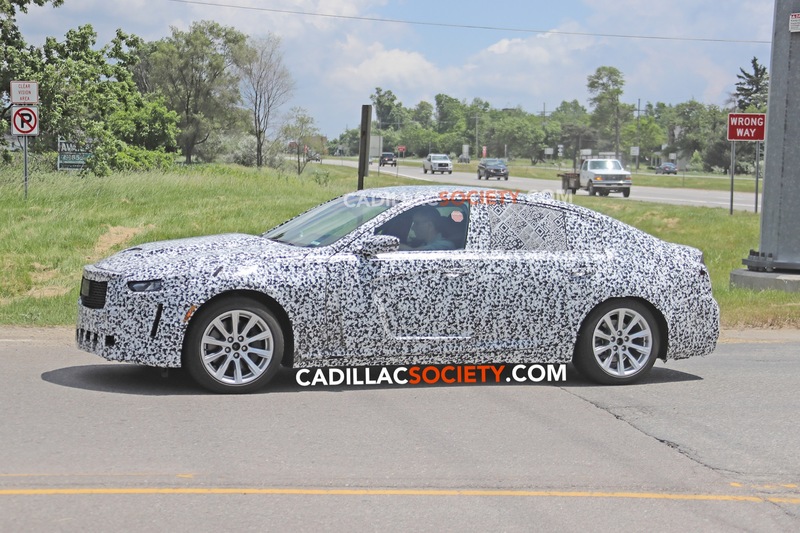 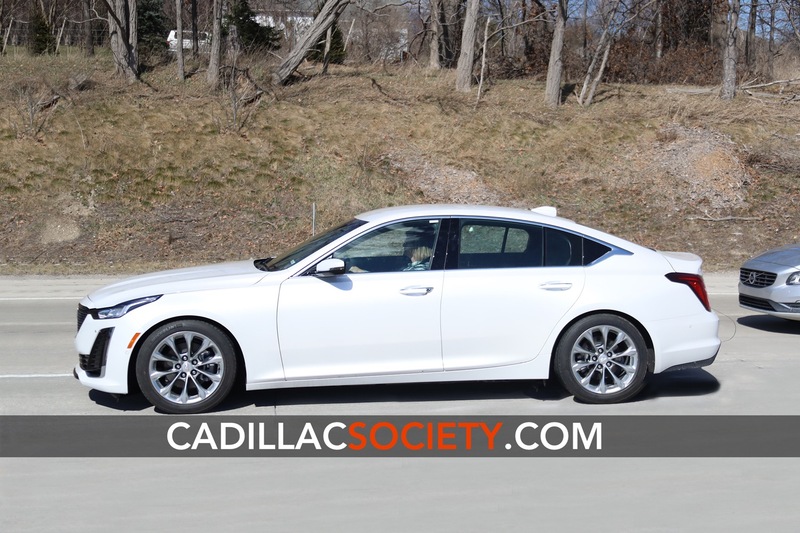 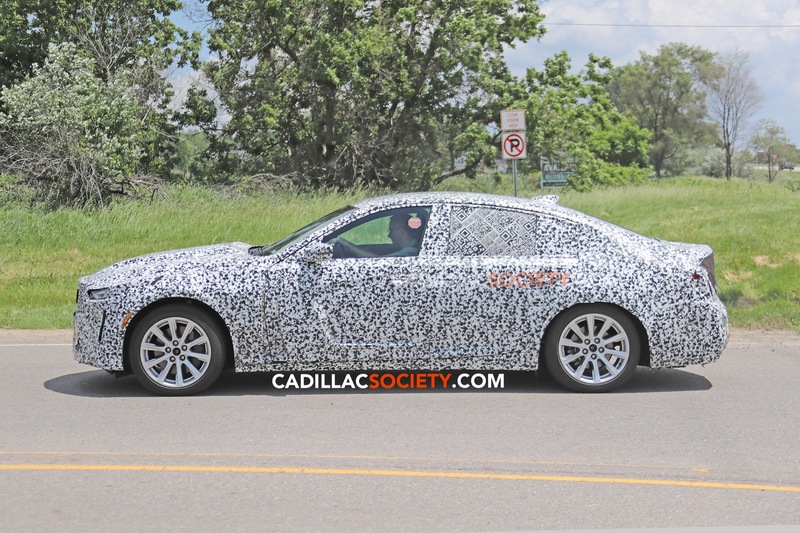 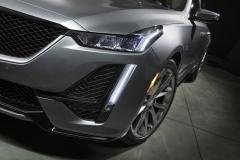 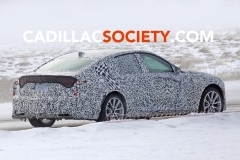 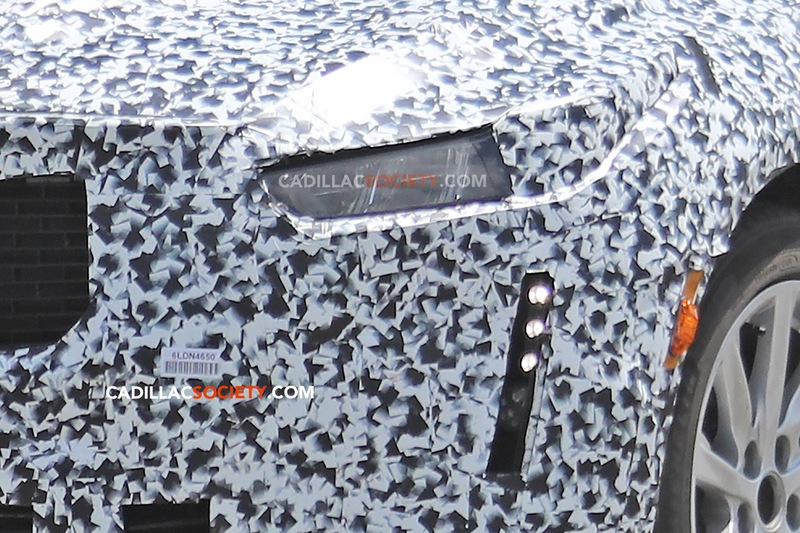 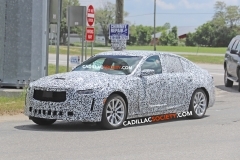 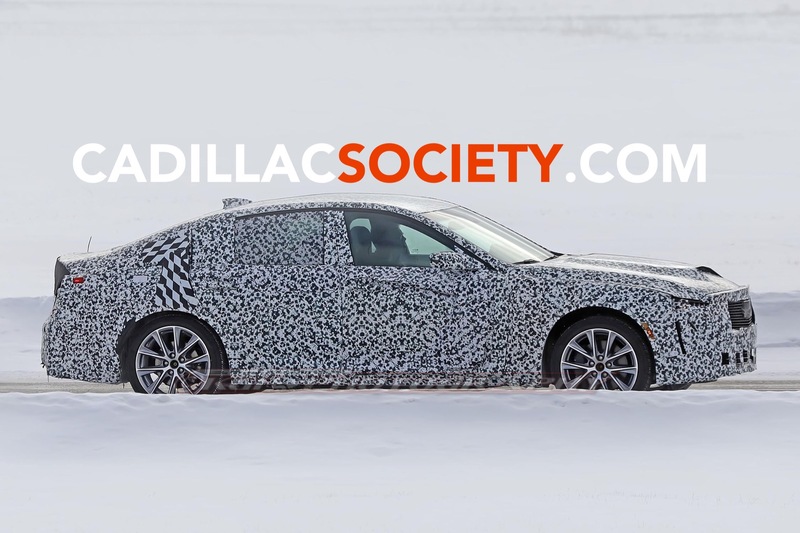 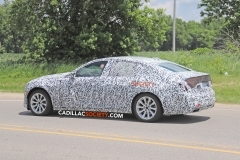 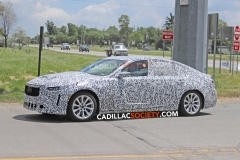 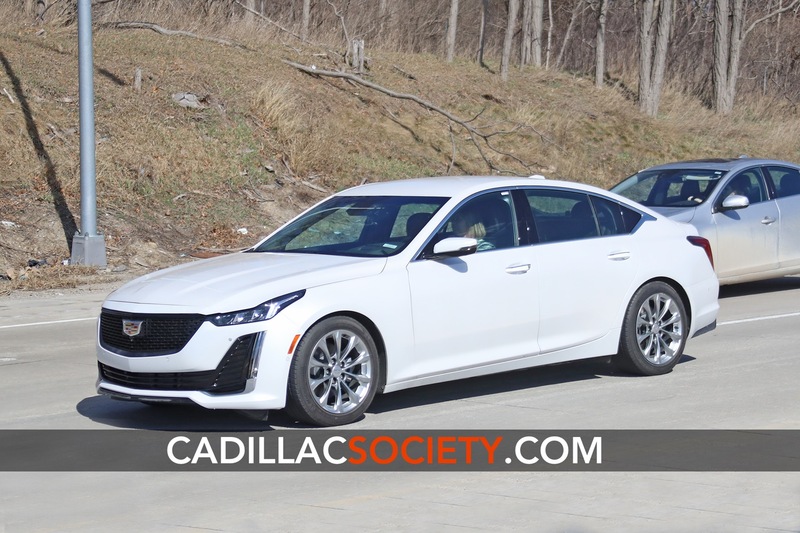 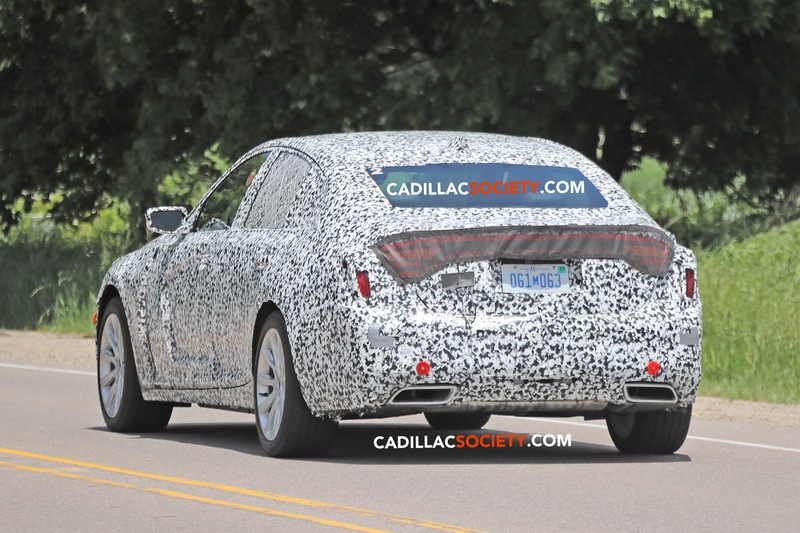 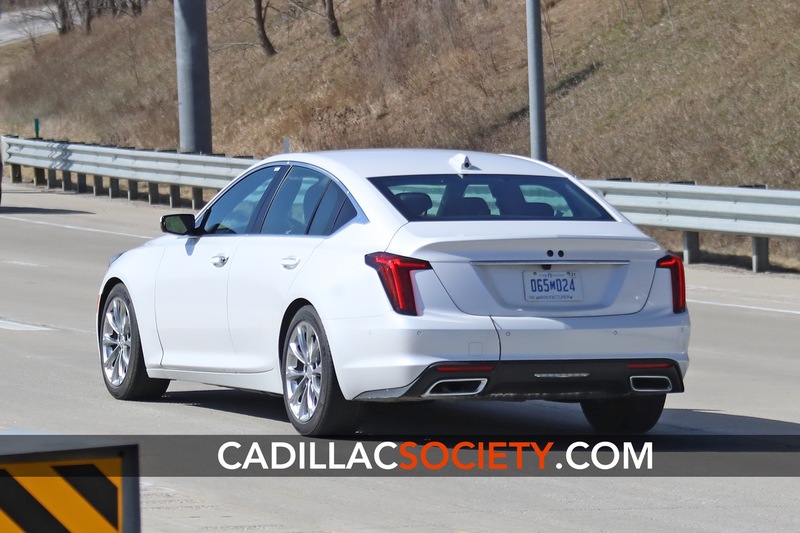 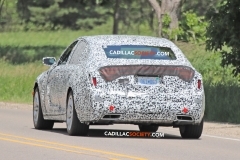 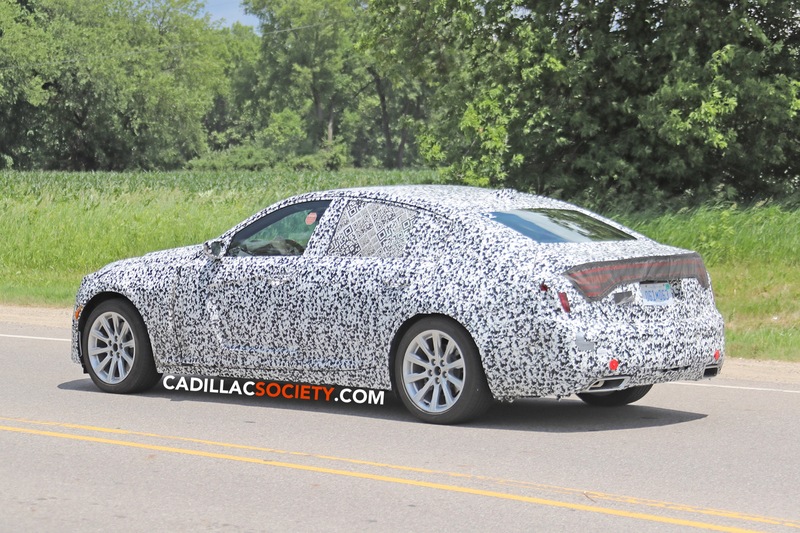 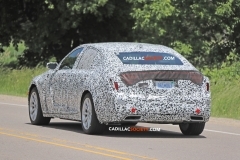 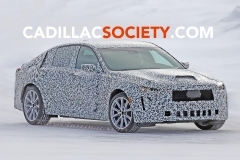 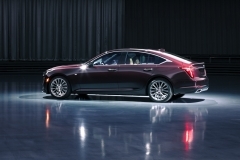 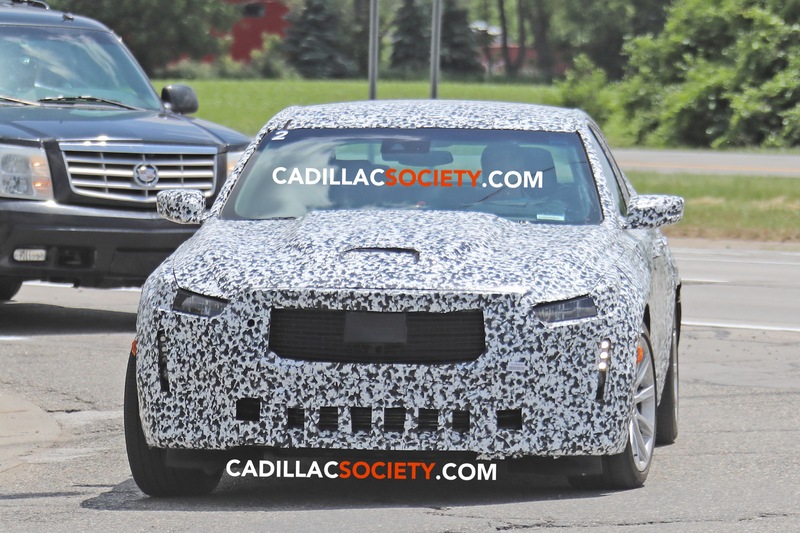 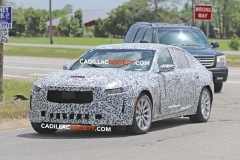 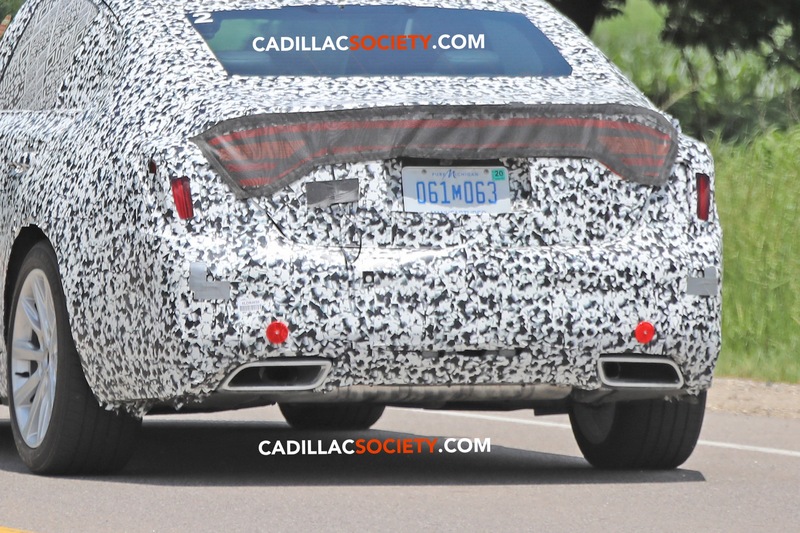 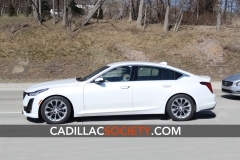 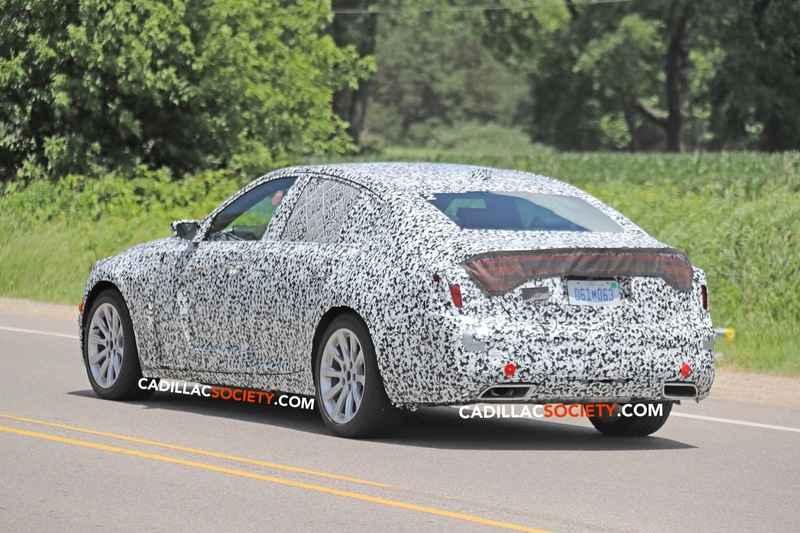 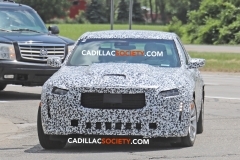 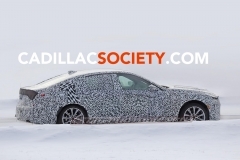 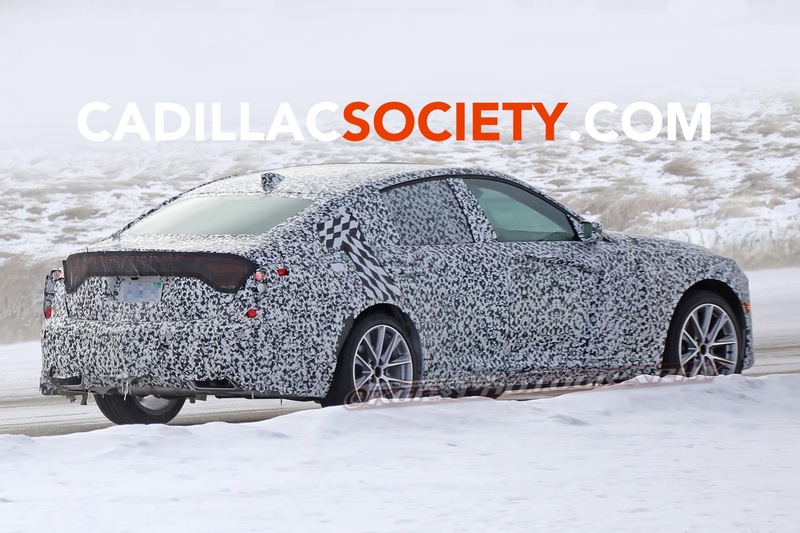 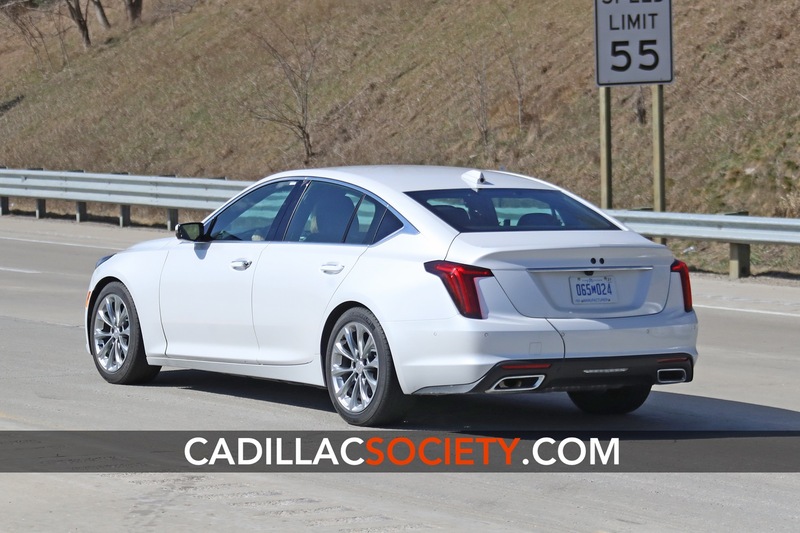 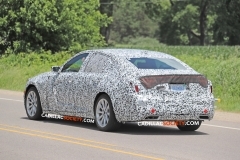 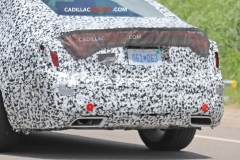 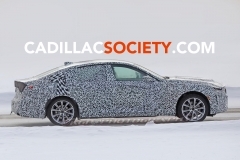 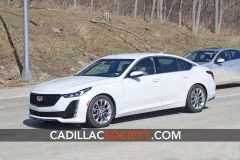 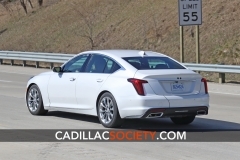 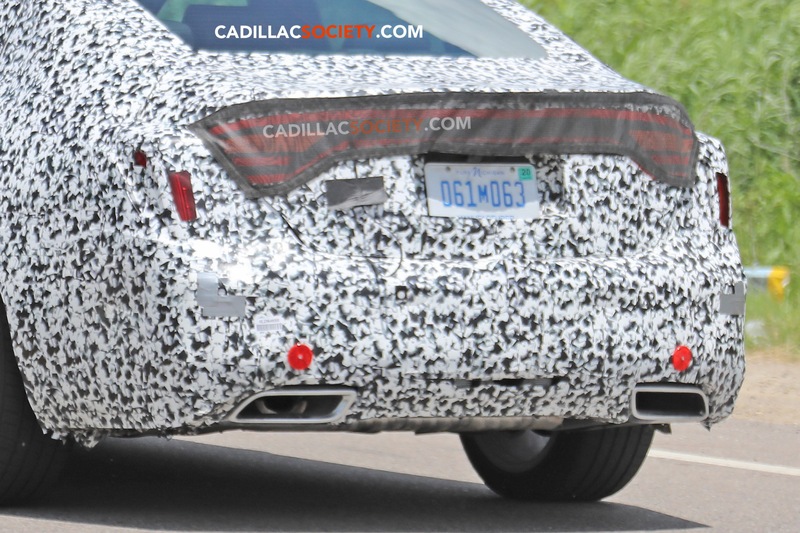 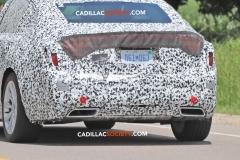 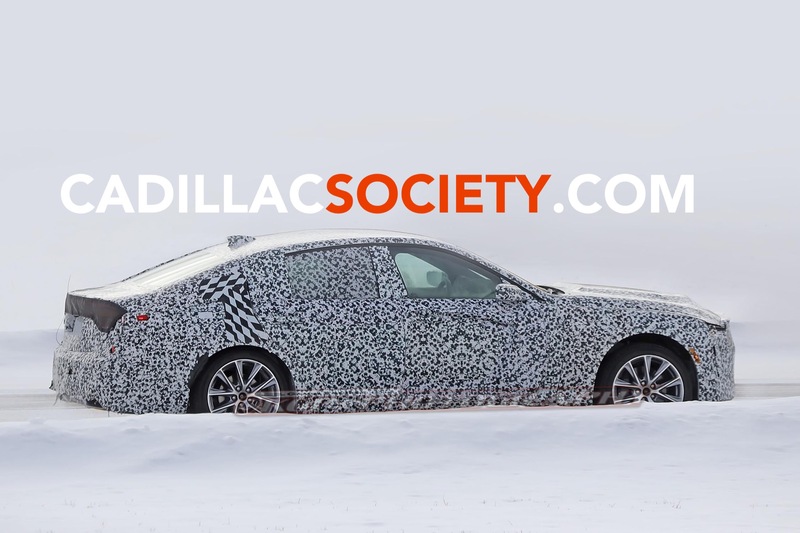 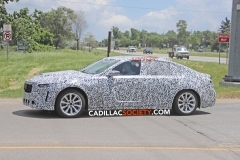 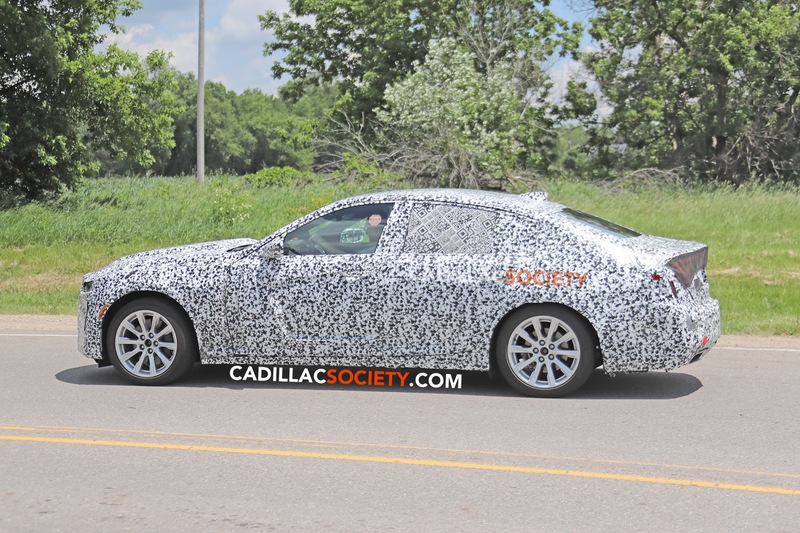 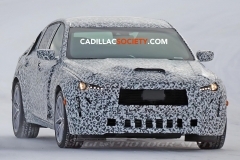 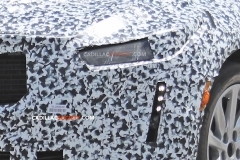 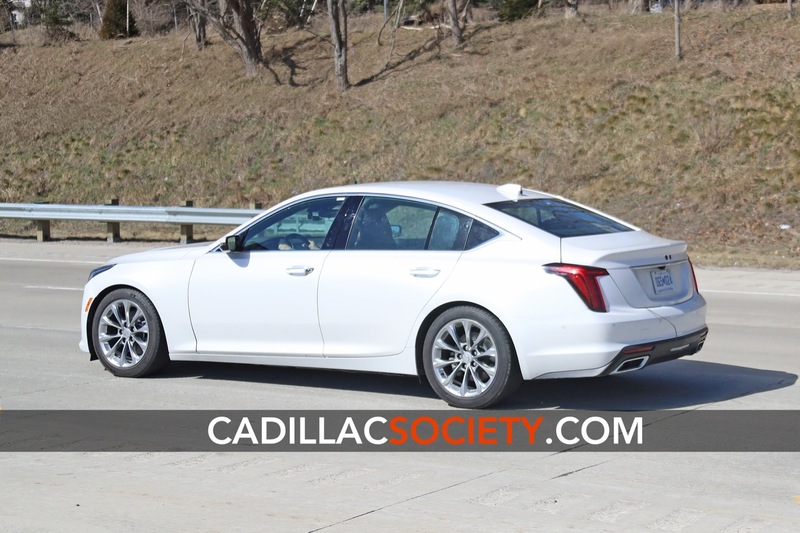 Stay tuned to Cadillac Society for more for more Cadillac CT5 news and Cadillac news coverage. 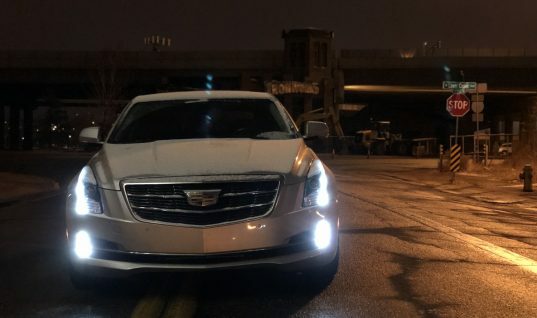 Still needs the pearls and ducks back. I hope the colors look murky just because of the lighting. 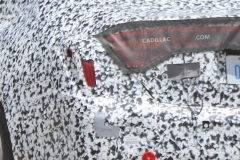 They should put a V under it for the Blackwing-equipped ones.